Two years long this car has been hidden from the internet, but thanks to a keen reader on his way in Italy we have some shots of the unique Aston Martin EG. All the missing information is there now, too. 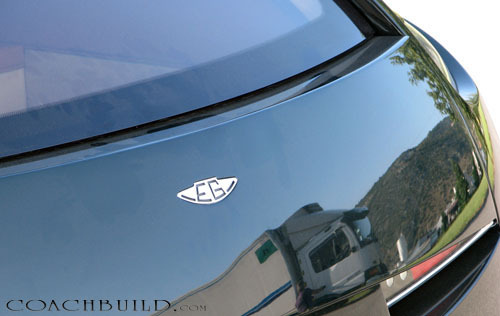 The Aston Martin EG – of which the model name refers to its owner's initials - was commissioned in 2007 to ‘Quality Cars’, a coachbuilder based in Vigonza that was found in 1990. 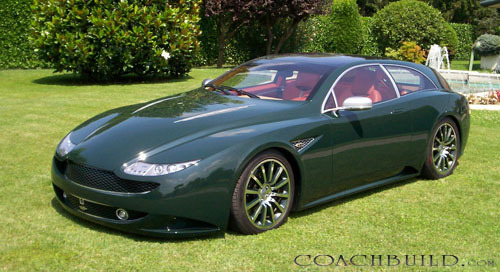 It is based on an Aston Martin Vanquish and comes in true shooting brake tradition. 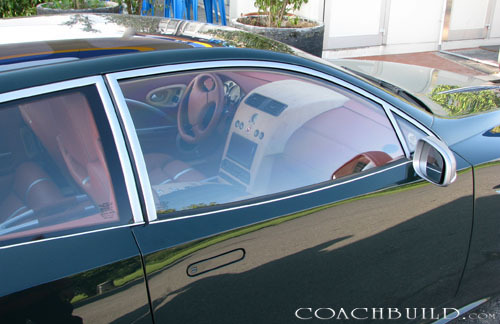 The four-seat body was made in aluminium and carbon fibre to a design of Francesco Boniolo of Boniolo Advanced Design who cooperated with some of the big names in Italy’s coachbuilding scene. Some of Boniolo’s earlier designs are the Coupé Goal, Ferrari Mamba, Soleado Cross-country vehicle, the '81 Michelotto Ferrari 308 GT/M IMSA and SUV Invader, but you won’t find these on the world wide web either, as Boniolo’s customers are of the more introvert car aficionado type. Of the Aston Martin EG Boniolo says to be inspired by the clean ‘Coke-bottle-line’ of Aston Martin’s 1968 DBS but also by 1940’s British fighter planes. 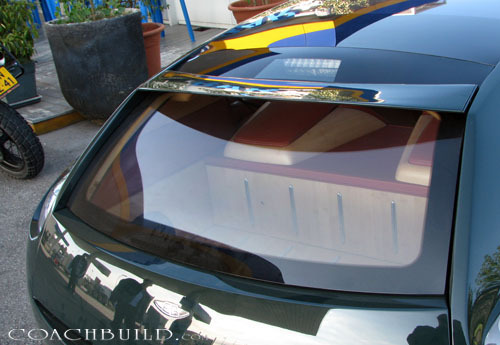 The rear of the donor Vanquish has been elongated by 600 millimetres and fitted with a hatchback to gain easy access to the luggage space of the car. Even smarter are the rear doors that have been cleverly fitted to the new body. Inside you will find a rich lobster-coloured leather interior by Pineider, with bamboo wood finishing on doors and dash and even the carpets. The EG’s roof has been kitted out with ‘Isolite’ glass over its full length that can be darkened by a touch on the button. 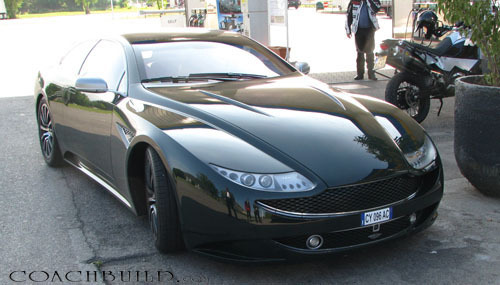 Boniolo made a model in ¼ scale and with the customer immediately linking it; it was decided to build the actual car as an exact replica in 1/1 scale. 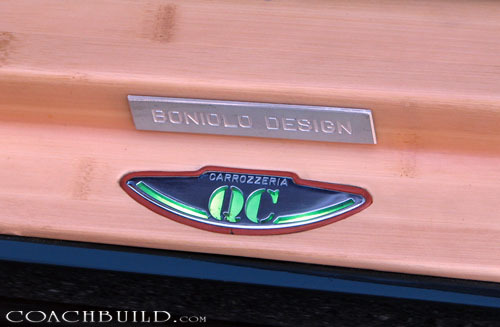 Quality Cars built the body around a steel tube frame from Boniolo’s design. The car has a length of 4700 millimetres, a width of 1950 millimetres and a height of 1318 millimetres. Its original colour was a solid British Racing Green - a British classic that fits well in Aston’s tradition.